Our students have a 100% pass rate on the Praxis II Early Childhood Education and Principles of Learning and Teaching exams since 2010. Whether you desire to teach children in a public or private school or work in child development in the United States or overseas, the early childhood education program at Bob Jones University will equip you to be an effective, innovative and Christ-centered educator of children up to age 8. Our program is approved by the South Carolina Department of Education, leading to initial South Carolina state licensure (licensed to teach prekindergarten to 3rd grade in a public school setting). Graduates from BJU’s early childhood education program have been accepted into graduate schools throughout the nation. Graduates are also working in schools in the United States and abroad, in early intervention agencies, child development centers, camp ministries, community/nonprofit agencies, and in specialized fields such as literacy and special education. From your first year in the program, BJU’s early childhood education combines solid academics with hands-on learning experiences to help you become a qualified teacher. You’ll build a foundation in content areas such as reading, mathematics and social studies and learn how to implement evidence-based teaching strategies. In addition, you will take three courses in teaching and assessing language and literacy while working with children and mentor teachers in primary-grade classrooms. As you study child growth and development, you’ll grow in your ability to design age-appropriate learning activities and in assessing children’s progress. You’ll also explore the most up-to-date educational technology such as Promethean boards and iPads, providing even more exciting tools to help your students learn. The program culminates in a semester of clinical practice your senior year. During clinical practice, you’ll have the opportunity to work with a teacher in a local public elementary school, as well as with a BJU professor that will give you feedback every week. In addition, you’ll periodically take part in workshops that focus on important topics such as family and community relations and identifying and preventing child abuse and neglect. By the time you graduate, you will have had more than 500 hours of experience in the field. Because the early childhood education program is comprehensive, there are no electives included. However, you can take online courses during the summer to free up your class schedule during the semester. You would then be able to take elementary or middle school education classes that count toward add-on licensure (state licensure to teach grades outside of the prekindergarten to 3rd grade included in the early childhood education license), or courses in Teaching English as a Second Language in order to receive a TESL certificate from BJU. Or you may choose to fit in extra classes according to your personal interests. During my time as an early childhood education major, I was blessed to have so many examples of great educators and many opportunities to develop my teaching skills. I look back over my four years at BJU, and I am so grateful for all the skills I learned that prepared me to enter my teaching career. The hands-on experience I gained during my practicum and student teaching has proved to be invaluable. I learned classroom management skills, teaching strategies and creative ideas from teachers who were already excelling in their field. Since graduation, I have taught both in the States and abroad in Christian and public education settings. Regardless of the location or curriculum, I feel that my education classes prepared me to be both an effective teacher and a professional. Your teaching preparation moves gently from classroom observations to after-school tutoring to practicum two mornings a week. Meanwhile, your methods classes will give you plenty of practice in lesson planning. By the time you begin your clinical practice your senior year, you will be well prepared with numerous lesson plans under your belt and at least 100 hours of classroom experience. Clinical practice, the capstone experience of your teaching preparation, gives you the opportunity to work with a mentor teacher in a local public school and receive timely feedback in weekly meetings with a BJU professor. This semester of clinical practice, along with completion of required classes, passing scores in the PRAXIS II exam and a favorable recommendation, leads to South Carolina state teacher licensure for prekindergarten through 3rd grade. Observe and learn in a variety of early education contexts, including community programs, an on-campus child development center, Bob Jones Academy, and local public and private schools. Complete a service-learning project in Home, School & Community Relations class through local agencies and programs serving young children and families. Complete lab experiences in local public prekindergarten, kindergarten and primary grade classrooms, as part of your methods courses in teaching math, language arts and reading. The University Educators Association provides programs and activities that complement BJU’s teacher preparation program. Professional development. Students have the opportunity to hear speakers who are experts and practitioners in their particular field. Opportunities to attend Christian school teachers’ conventions and other professional meetings. Social interaction with other future teachers. Opportunities to serve and to enlist others to participate in BJA Field Day activities and other educational functions. 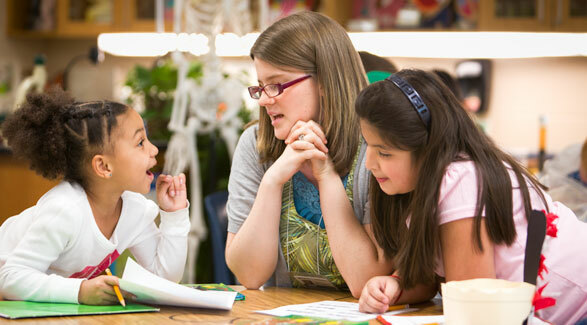 Many of our early childhood education faculty have more than 20 years of classroom experience. All hold advanced degrees and have either earned a doctorate or are currently pursuing one. They have experience in a variety of fields, including textbook writing, curriculum development and tutoring, and have presented workshop sessions at state and national school conventions. Create safe, respectful and stimulating environments for young children based on knowledge of young children's development, characteristics and needs. Design lessons for Pre-K-3 students that include accurate content, appropriate strategies, assessments and materials, and accommodate diverse learning needs. 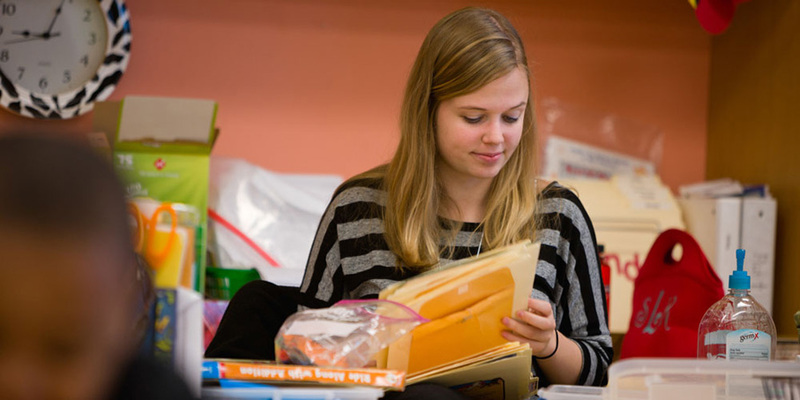 Practice the ethical behaviors and professional dispositions expected of BJU early childhood teacher candidates.